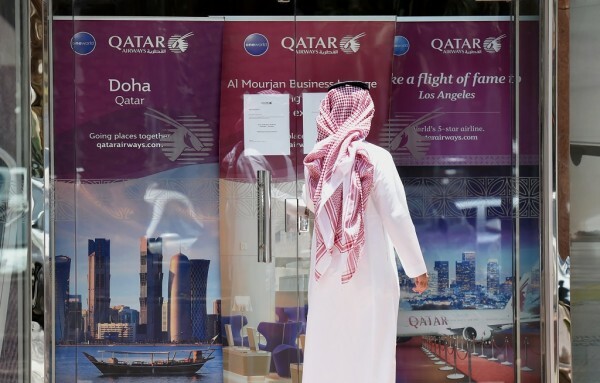 The Egyptian foreign ministry Monday announced it would impose entry visas as of July 20 on Qatari nationals wishing to visit Egypt as anti-Qatar countries tighten grip around the tiny gas-rich country. “It does not make sense to keep making exceptions for Qatar and giving it privileges in light of its current positions,” said Ahmed Abu Zeid, Egypt’s foreign ministry spokesman. While Qatari students in Egyptian public universities, as well Egyptian spouses and children of Egyptian nationals will not be affected by the restriction, state-run media Ahram Online noted that Qataris with diplomatic passports and special travel documents will be subject to the new measure. The decision was announced while Kuwaiti Foreign Minister was in Cairo part of Kuwait’s mediation move to end the current Gulf crisis. 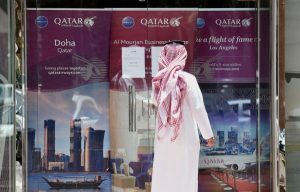 Saudi Arabia, United Arab Emirates, Bahrain and Egypt have cut ties with Qatar which they accuse of interference in their internal affairs and of funding terrorism. The quartet has imposed air, sea and land blockades against Qatar. Doha rejects the blockades as a violation of international law. To bend down Doha, the boycotting countries issued a 13-demand list to be fulfilled before the blockades are lifted and ties normalized. Qatar spurned the list, which it deemed “unrealistic”. Egyptian foreign minister Sameh Shoukry who was receiving his Kuwaiti counterpart Sheikh Sabah al-Khalid al-Sabah Monday indicated that Cairo will stick to the bloc’s sanctions against Qatar. He added that the only way to resolve the Gulf crisis was for Qatar to comply, reports say. The insistence comes “in light of what the quartet states see as Qatar’s stalling and procrastination, and lack of concern for the concern of the four countries,” said Ahmed Abu Zeid, Egypt’s foreign ministry spokesman, in a statement. Hosting other foreign ministers of the bloc early this month, Shoukry slammed Qatar’s refusal to comply with the conditions set forth by the quartet. Qatar’s response was “not serious” and betrayed Qatar’s “failure” to realize the gravity of the situation, he said. Posted by Jaber Ali on Jul 18 2017. Filed under Gulf News, Headlines. You can follow any responses to this entry through the RSS 2.0. Both comments and pings are currently closed.